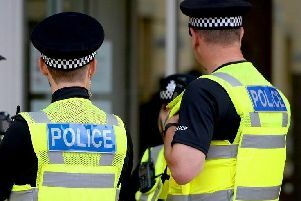 West Yorkshire Police is changing its practice on revealing details about misconduct cases. West Yorkshire Police is to fully name all officers appearing before public misconduct hearings after being lobbied by The Yorkshire Post. It is a change in practice for Yorkshire’s biggest police force, which up until now has only been providing the surnames of accused officers on its website. In the most recent case, relating to an officer accused of visiting his child’s school while on duty and flashing his car’s emergency lights and sirens “for no apparent policing purpose”, only his rank, collar number and surname was provided at first. But the force says it will now “fully name” all officers before they appear in front of public hearings. Police forces have been told to hold misconduct hearings in public since 2015, when then-Home Secretary Theresa May introduced the changes to make them “more open and visible”. Of the five largest police forces in England, excluding West Yorkshire, three currently have forthcoming misconduct hearings on their websites. The Metropolitan Police and Greater Manchester have provided the rank, first name and surname of the officer concerned, whereas Merseyside has followed West Yorkshire Police by only providing the rank, collar number and surname. According to the Home Office, whether to provide full details of an accused officer is “ultimately a decision for the force”. A spokesman told the Yorkshire Post: “Essentially while the Home Office guidelines favour transparency there are clear grounds where information can be withheld or partially withheld. The hearing for Pc Steven Mullaney of West Yorkshire Police starts this week. He faces allegations that he visited his child’s school in a police vehicle on two occasions in 2015 “whilst on duty without authority or permission to do so”. He will also answer claims that he went home without permission as well as travelling above the speed limit and using his sirens and emergency lights without a good policing reason. The force’s website had only listed his rank, collar number and surname, but a spokesman has now confirmed his full name as part of the change of practice.